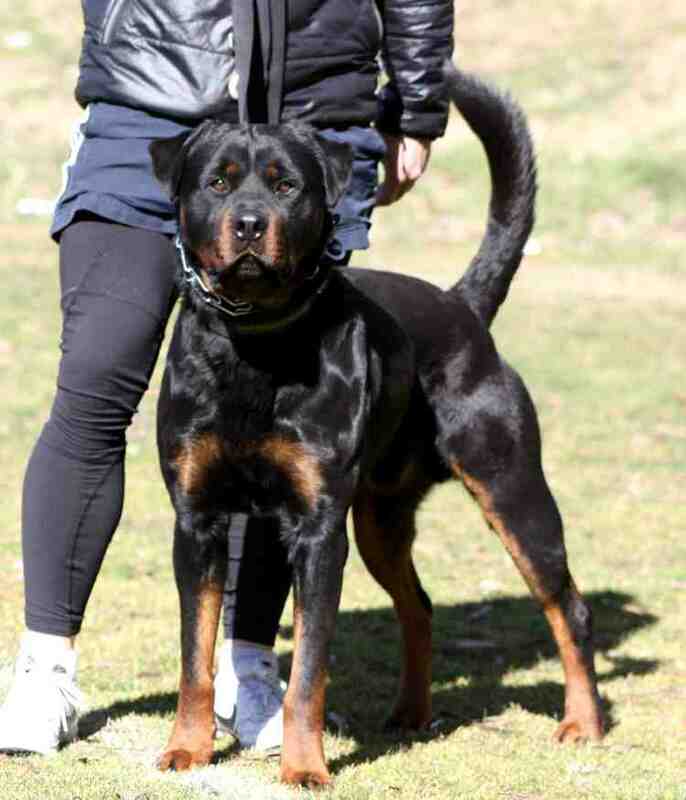 Buddy is a special young rottweiler for us. 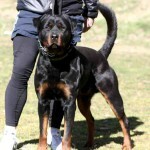 He is the only survivor from his litter and the only Rocky vom Allnatal son in Australia. 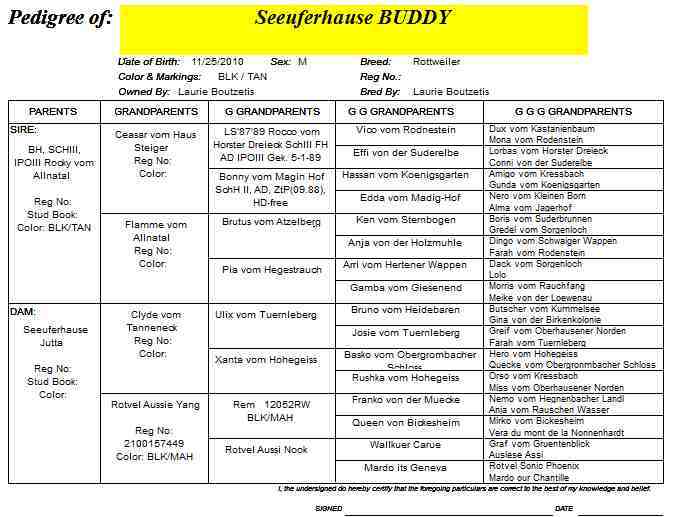 Buddy carries a most impressive working pedigree and is proving to be worthy of this. 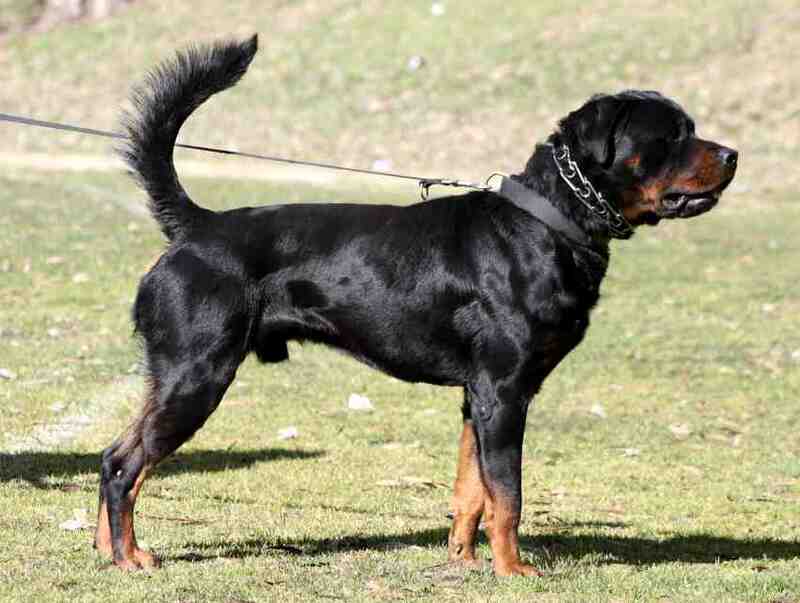 Strong nerves, crushing grip and very high fight drive is what Buddy is about; and like his father before him he has the striking speed of a viper – easily the fastest that I have seen in a rottweiler! 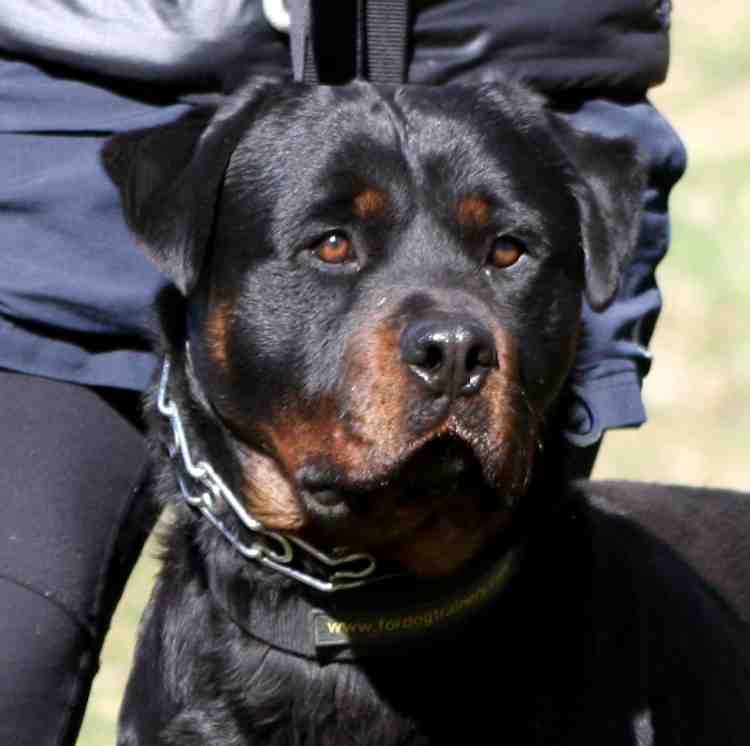 Buddy is a medium size male rottweiler with exceptional athleticism and beautiful dark / rich markings. He is still growing but we now see that he will mature into a very nice adult. 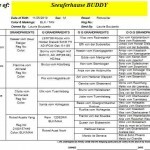 Buddy is awesome with his family and a most trustworthy companion for the children. 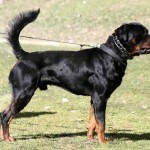 He is very typical of the rottweiler of yesteryear; calm, stable and unwavering but intolerant of strangers. 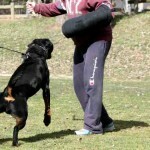 Here is a short video of Buddy in his home environment (in Canberra where he lives), demonstrating his protective capabilities and his trustworthy nature with his family. 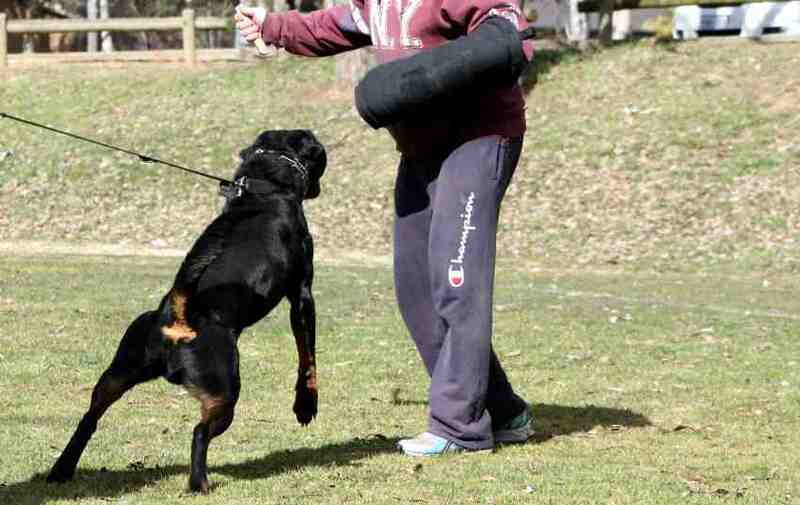 Buddy is a very good representation of what Seeuferhause Rottweilers are.